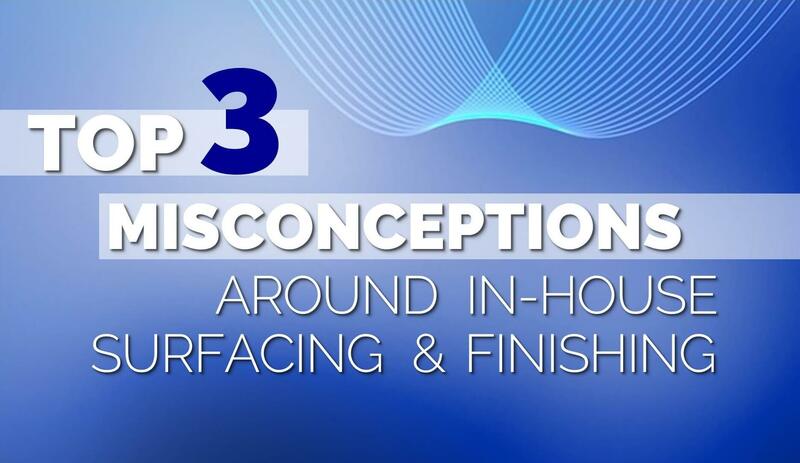 Top 3 Misconceptions Around In-House Surfacing & Finishing | Coburn Technologies, Inc. Some opticians and retail shops are skeptical about bringing their finishing and surfacing processes in-house. Without having the right knowledge for how this will benefit their practice though, how can they make this decision? We found that there are three common misconceptions that ultimately result in an optician or retailer deciding not to bring finishing and surfacing processes into their practice – the equipment is too expensive, they don’t have the technical background to run the machines, and they don’t have enough space for the equipment. Yes, the initial cost is always a factor to consider in any purchasing situation. In the case of determining whether or not to buy equipment for in-house processing, it’s no different. However, those initial costs will be offset by a lower cost per lens. You’ll start to find that it’s less expensive to produce lenses yourself, than it is to pay someone else to make them. Ultimately, they are making a profit on you that you could be keeping for yourself. You’d be surprised at how fast the payback is! Also, the turnaround time for getting the customers’ product back is faster and more efficient, allowing you to provide better service and free up time for other areas in your business. In many cases, you’ll be able to provide a high-quality pair of lenses in about an hour. Think about the impact that will have on your customer satisfaction! Now knowing these benefits, the cost of equipment suddenly doesn’t seem so bad, does it? No technical background? No problem! Just choose the right company to buy from. Here at Coburn Technologies, we’ll get you completely set up, and help you learn how to use the equipment. From extensive trainings to best inform you about how the machine works, to quick in-person or over the phone service, we are here to support you. We have easy to use equipment that requires little to no technical expertise. Our machines will save you time and trouble with their easy to navigate touch screens, precision accuracy and simple job layout processes. In the end, you’ll know everything about your machines, and you will be running a top notch business in no time. Perhaps you’ve seen one piece of equipment and thought, “No way! That would never fit in my office!” And maybe you would be right. But making that assumption based on seeing one piece of equipment is like refusing to watch an award winning film because you heard one negative review about it. In reality, there are a variety of sizes of equipment in the market. Here at Coburn, we know that not every office has the same set up, and therefore we offer machines that have similar functions, in different sizes. In fact, most of the equipment opticians and retailer require doesn’t need much space at all. Say, you’re looking for an edger to process about twenty-five jobs per day. You would probably want to look at low throughput edgers – table top edgers. These machines only require 4ft2-6ft2 of table space – that’s no more than the space the chair you’re sitting in takes up on the floor! Ultimately, it is up to the optician or retailer to decide whether or not to bring their finishing and surfacing processes in-house. It is our job to debunk any misconceptions, and help see the benefits. For more information on surfacing and finishing equipment, or if you’d like to start the conversation on bringing processes in-house, visit us at www.coburntechnologies.com, or call us directly at 1-800-COBURN1.